Microsoft’s Surface Pro 4 is a really good device. It’s a decent tablet with incredibly powerful laptop capability. However, there are a few big issues with it, along with a couple of other minor gripes. I’m going to do my best to list a few things I (and probably many others) would love to see out of the next Surface Pro device, in personal order of preference. Battery life is easily everyone’s biggest concern with the Surface Pro 4, especially with the tablet’s idle battery drain issue. According to Laptop Mag’s test, (continuous Web surfing over Wi-Fi at 150 nits), the device lasted 6 hours and 5 minutes. Now, everyone’s mileage will vary, however under the same conditions, the iPad Pro lasts roughly 10 hours. On the laptop side, the Dell XPS 13 (qHD+ model) last roughly 8 hours in Laptop Mag’s test. The Surface Pro 4 is positioned by Microsoft as a competitor to the Macbook Air, but doesn’t have the battery life to back that up, at all. 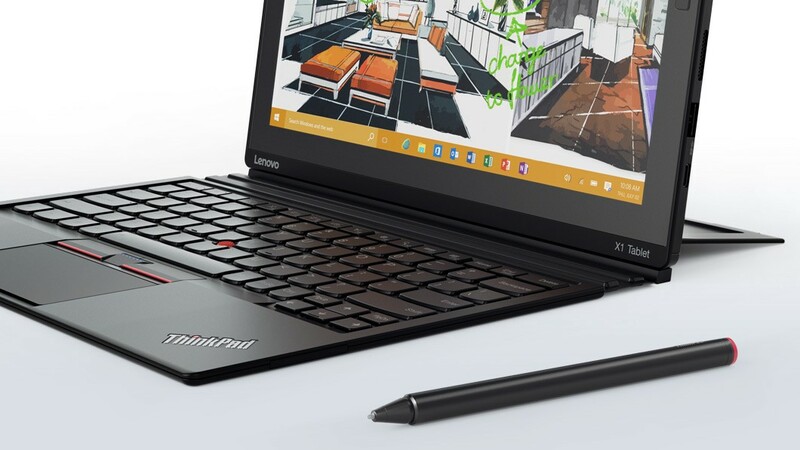 Lenovo’s new ThinkPad X1 Tablet has a hinge that’s quite literally the opposite of Microsoft’s. Instead of folding up, it folds down. This design allows for significantly better lapability, as the hinge doesn’t dig into your legs nearly as much. The Surface Pro 4 is usable on a lap, but it’s not nearly as comfortable as a laptop. The Thinkpad’s hinge allows for more of the hinge to rest on your lap, rather than push into it. Again, it’s still not the same as a laptop, but it’s definitely better than the Surface. For some, that could push the Surface over the edge in terms of “good enough laptop capability”. For Microsoft, that could be a fair amount of new customers. 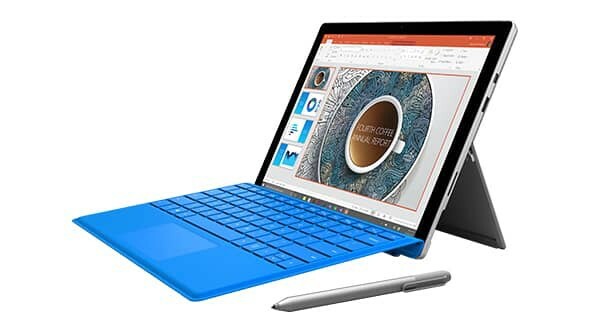 At the moment, the Surface Pro 4 uses a MicroSD card slot, which can be incredibly annoying for those who need to transfer photos from a standard-sized SD card. A bump up to the full-sized slot would allow those with MicroSD cards to keep using the Surface through an adapter, and also allow those with Mini or full-sized SD cards to use it as well. In terms of USB connectivity, USB-C is almost a must-have on the next Surface device. With some claiming that the next Surface won’t come until early 2017, it’ll be even more important as USB-C adoption should be significantly higher by then. Thunderbolt 3 would be a huge plus as well, potentially allowing external GPUs to be connected, among other devices. Aside from type-C, another USB-A port would be appreciated, although this one isn’t a big deal; with the advent of Bluetooth peripherals and the decline of USB flash drives, one port generally suffices. What else could the Surface Pro 5 use? A more stable keyboard? Better tablet functionality?